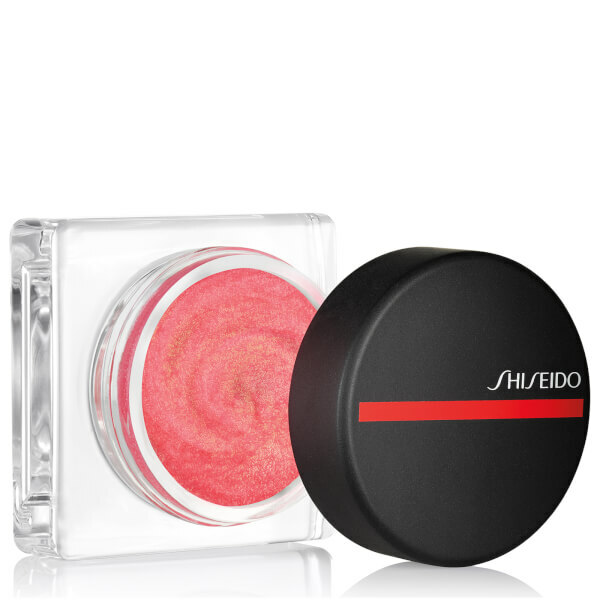 Add a flush of natural colour to highlight your cheeks with the Shiseido Minimalist WhippedPowder Blush; an air-whipped cream blush that transforms into a long-lasting, weightless and breathable powder with a soft matte finish. Breakthrough AirFusion Technology forms the mousse-to-powder with pockets of micro air bubbles that give it its featherlight texture and ability to blend effortlessly across skin. Film-forming resins help the colour adhere to skin for up to 8 hours, whilst flexible Silicone Powder creates a silky, soft texture that leaves a dewy finish. Arrives in a range of vivid shades inspired by the Japanese skincare and cosmetics label’s muses and collaborators of the past and present. Apply sparingly with fingertips or dab onto cheeks using a makeup brush, and buff out for a seamless blend.